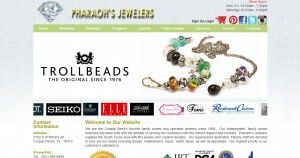 Pharaoh’s Jewelers address, phone, website, hours of operation, and more. Pharaoh’s Jewelers is a family owned full service jewelry store since 1989. Over the past 22 years, our great customer service has been established through the ongoing success of our business; our highest priority is our customers’ satisfaction. 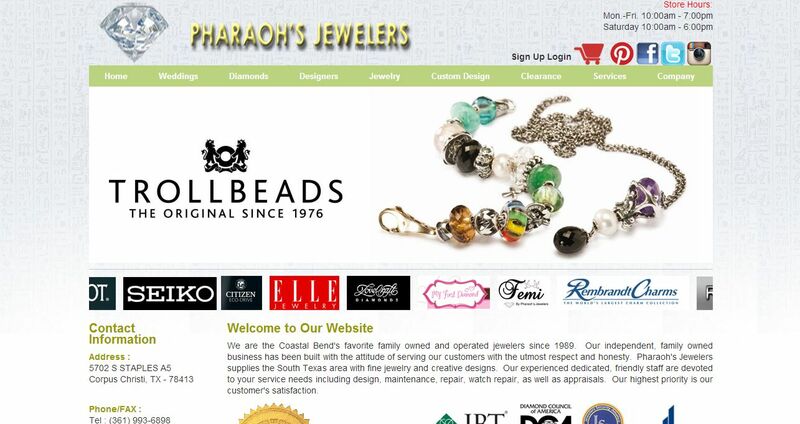 Pharaoh’s Jewelers is a member of the Jewelers Board of Trade, Jewelers Security Alliance, and the National Jewelry Trade Association, Jewelers of America. We have two Master Jewelers on site with over 20 years of experience, and all our services are performed on location. We offer the latest designs in bridal jewelry, including our own exclusive customizable Femi Collection, which allows the customer to pick a style of ring that they like and have it created in white gold, yellow gold, or platinum and have the ring made with any size diamond or gemstone they desire. Pharaoh’s offers a variety of diamond rings as well as wedding bands, ring guards, and ring wraps. In men’s rings we carry not only stylish rings set with large gemstones but also sturdy bands made of contemporary metals like stainless steel, titanium, and tungsten. We also carry loose diamonds and gemstones, both in stock and ordered to the customer’s specifications. We pride ourselves on being able to present our customers with accurate, reliable work and high quality jewelry and gemstones. We appreciate you taking the time to check out our website!